As “market referees”, regulators contribute to the delivery of essential public utilities. Their organisational culture, behaviour and governance are important factors in how regulators, and the sectors they oversee, perform. 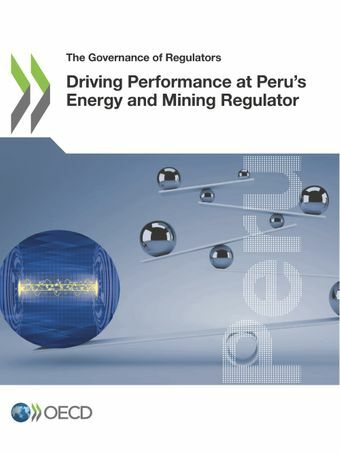 The report uses the OECD Performance Assessment Framework for Economic Regulators to assess both the internal and external governance of Peru's Energy and Mining Regulator (Osinergmin). The review discusses Osinergmin's achievements and good practices, analyses the key drivers of its performance, and proposes an integrated reform package to help the regulator prepare for the future. Osinergmin has gained a strong reputation as an autonomous and technically competent regulator since its creation in the late 1990s, overseeing sectors of strategic importance to Peru – energy and mining – in terms of economic development, investment attraction and export performance. A key challenge is for Osinergmin to strive for greater institutional maturity in a complex governance system. This would require establishing more formal co-ordination structures with both public and private actors involved in the regulated sectors, as well as continuing to invest in good practices such as stakeholder engagement and enforcement strategies. The report also identifies areas of improvement for what concerns the regulator’s internal governance, such as linking budgeting and planning activities more closely to forecasts needs and minimise risks, clarifying some internal functions and promoting accountability measures.